Appy Hotel launched its service to the global market enabling hotels worldwide quick and risk-free transition into mobile marketing. AppyHotel.com provides global hotel chains, boutique brands and individual properties a quick and easy way to create and manage their own iPad and iPhone marketing apps to promote hotel amenities and concierge services, enhancing brand awareness, strengthening customer loyalty and extending revenue streams. Guests can download the app to their device and use it to learn about hotel services, special promotions, dining and retail options and nearby sightseeing opportunities, as well as provide feedback to hotel management. Future plans include an Android version, and enabling booking of hotel services directly from the app. As more and more travelers rely on their mobile devices for communication and information, hotels can leverage apps to strengthen customer relationships and enhance guests’ experiences prior to arrival, throughout their stay and beyond. Six months after launching a limited pilot, Appy Hotel already has over 500 hotels signed up worldwide, including properties belonging to large multinational groups such as Marriott and Starwood, private chains, and boutique hotels. Appy Hotel enables hotels to upload their existing marketing materials and photos to showcase the distinct features of their property. Information is automatically updated in the app as soon as changes are made by the hotel. Appy Hotel provides hotels with immediate return on investment. Not only can they launch their app in minutes instead of months, but they also completely avoid the risk and cost normally associated with adopting new marketing strategies and technology. 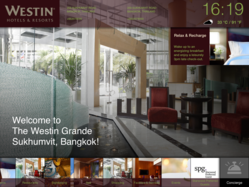 Appy Hotel is software-as-a-service, a model hotel marketing teams are increasingly familiar with. Hotels sign up via the website and choose monthly plans ranging anywhere from a basic “Always Free” option, up to a $199/month package that supports powerful customization and guest satisfaction features. An added benefit of Appy Hotel is that it supports hotel brands’ “green initiatives” by allowing them to minimize the use of paper-based materials, saving both money and the environment. 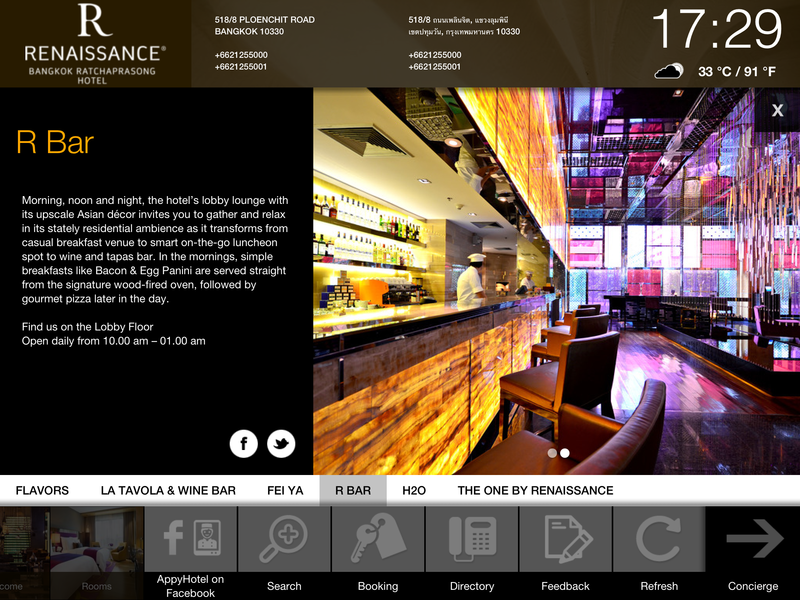 Appy Hotel is the brainchild of CEO JP Dumas, an accomplished Luxury Technology expert. His team includes veteran web and startup professionals from the US, Australia, Israel, and Europe. JP says the team’s international background is an important part of the company’s culture, and together with the close collaboration with hoteliers and hotel guests throughout the development, was instrumental in creating a streamlined user experience. Based in Hong-Kong and Bangkok, the company serves leading hotel brands including Marriott, Starwood, and others around the globe. More information can be found at AppyHotel.com.